Bunk bed is a kind of bed which is designed so as to expand the surface area and to accommodate two people to share a common room without occupying the space for another bed. It finds its applications in army garrisons, dormitories and kids room. 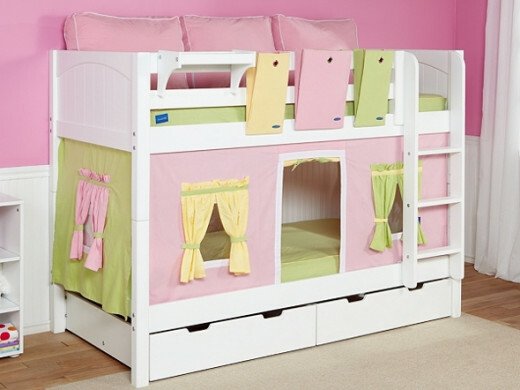 Parents being very possessive about their child must be careful while choosing a bunk bed for their kids because children being adventurous need more space on floor to play. So keeping in view their comfort and safety, parents need to be much conscious while choosing the interior for the room of their kid. 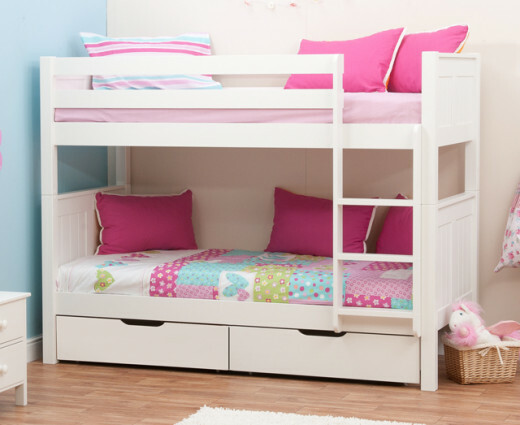 Here are some tips that will help you buy the safest bunk beds for your kids. Kids are very enthusiastic and adventurous. We are all aware of the fact that how they turn their rooms into the play lands and imaginary battle fields. It is very important that you refer a bunk bed with a hard stair case. A loosely attached delicate staircase indeed looks beautiful and elegant but your kids can get hurt in attempt to hang or jump over them. A hard and firm staircase will give them proper support and save them from falling apart. Choose the bed with water paint coating. Don’t prefer lead coated bed because it is injurious to health and can cause serious damages to your kid. 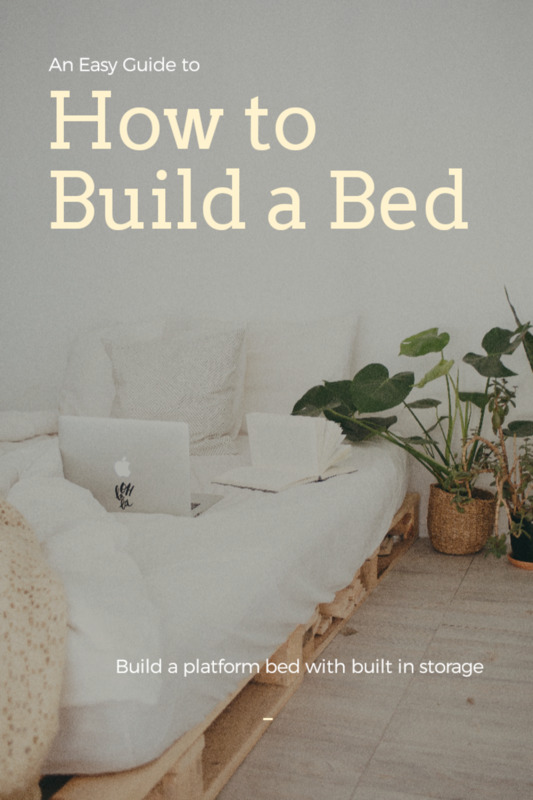 Always select a bed that contains boundaries at least on the upper portion. This will prevent your kids to fall apart and you will sleep in peace knowing that your kid will be safe all the night. Some bunk beds come with the fixed mattresses as well. They look convenient as you just have to take care of cleaning and do not have to worry about keeping it in place but they are less safe for your kids. 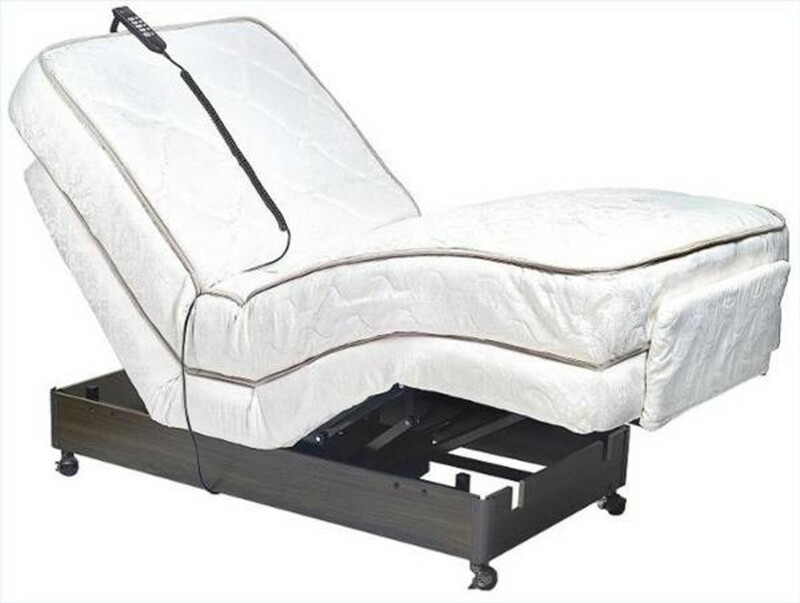 The detachable mattress will help you clean them better and you can ensure that there are no bed bugs or dust mites around. Consider a bunk made up of wood due to its durability and sturdy nature. It’s also good you’re your kid’s health. 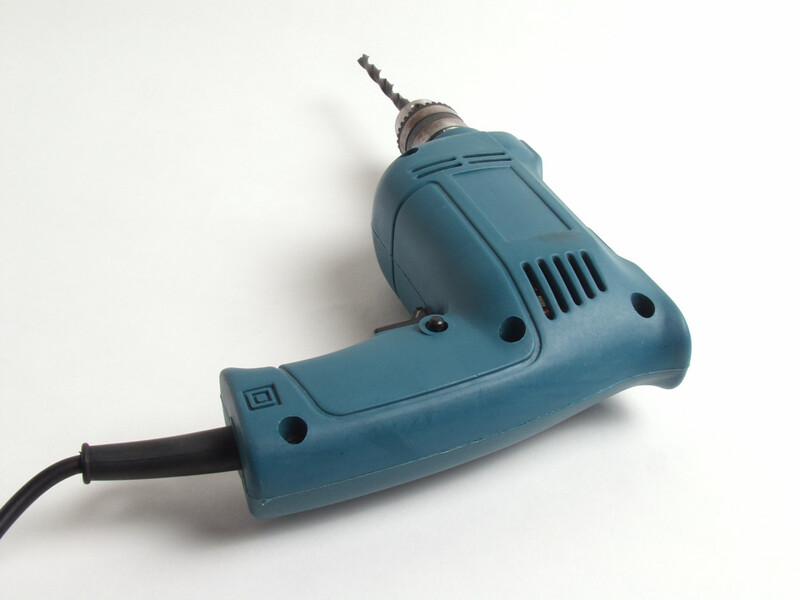 Make sure that it does not have any sharp edges that can hurt your kids. 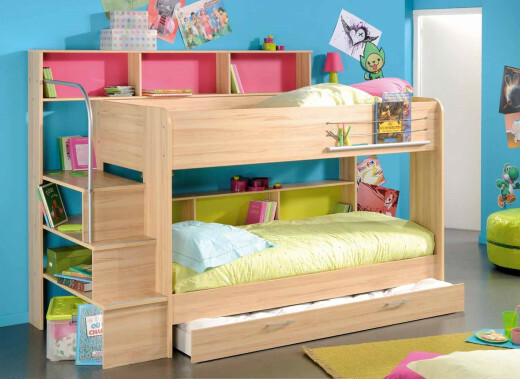 Choosing a good bunk bed is very essential as you need to have a surety about your kid’s safety along with his comfort.